Lots of cute Christmas fabrics ready to make gifts for my stall | The best Ice Cream, hands down | Fireworks and sparkler fun with the family | Dressed up for a wedding with the boy | Trip on the train with my little nephews | Outfit pictures in the Winter sun | Yummy treats from Mr Simms in Manchester | More treats…. 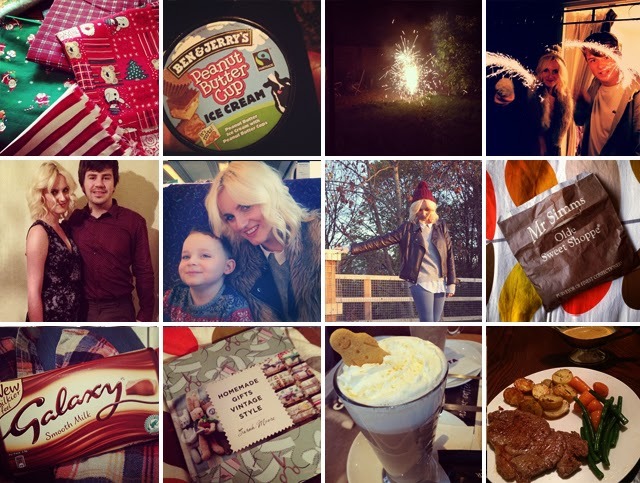 | Lovely new book | Christmas gingerbread latte from Costa | Amazing homemade steak dinner. That dinner, drool! Not tried gingerbread latte yet, its on my list! Starbucks do one too <_< Are they doing the black forest hot choc again? Was the best thing ever last year, totally worth the mad calories! !